Today is National Poultry Day! Celebrate by learning how to perfectly prep a chicken. In a series of videos, master chef Jacques Pépin demonstrates the essential techniques for butterflying, chopping, trussing and carving. Another fantastic technique from Pépin: splitting the chicken and cutting between the leg andshoulder joints to cut cooking time in half. 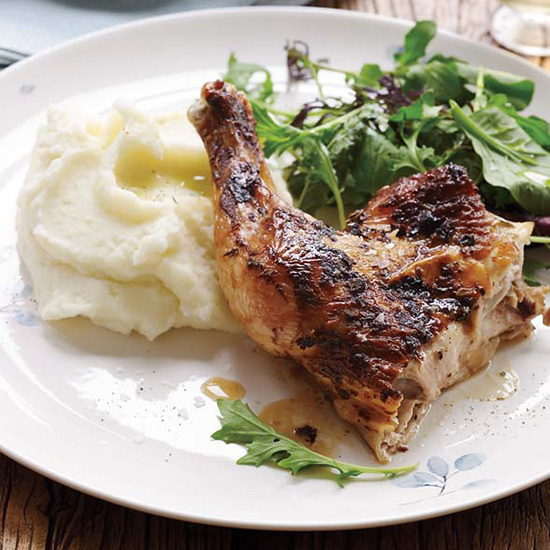 Try it tonight with his Quick-Roasted Chicken with Mustard and Garlic, ready in just one hour.